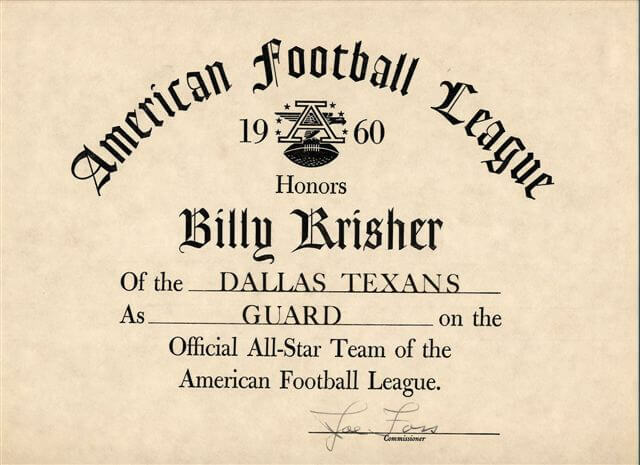 The NFL turned him down, so Hunt then established the American Football League and started his own team, the Dallas Texans, to begin play in 1960. Hunt hired a little-known assistant coach from the University of Miami football team, Hank Stram, to be the team’s head coach. Hunt chose Stram after the offer was declined by Bud Wilkinson and Tom Landry. The Texans shared the Cotton Bowl with the NFL’s cross-town competition Dallas Cowboys for three seasons. While the team averaged a league-best 24,500 at the Cotton Bowl, the Texans gained less attention due to the league’s relatively unknown existence.